Once the shooting stops in incidents like yesterday’s mass shooting in San Bernadino, California, many people might imagine that there’s not much for police to do except start processing the scene and interviewing witnesses. But when you’re dealing with what appears to be a carefully planned attack, with two shooters in tactical gear and carrying assault weapons who may have planted explosive devices, it’s a lot more complicated. 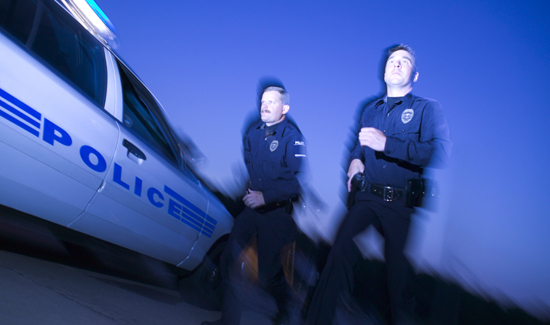 Unlike police officers, civilians have no training when it comes to responding to—or running from—armed assailants. That’s why some cool-headed cops are exactly what’s needed, in order to keep people from panicking and possibly putting themselves back in danger. While everyone’s waiting for a “good guy with a gun,” to stop masked gunmen in tactical gear, it’s also important to be aware of what responding to a horror scene like this entails. Part of that is keeping traumatized people who might be understandably hysterical calm enough to get the hell out of the building following the officers’ instructions. Check out this intense video as officers evacuate survivors and do their best to keep them calm and cool enough to follow instructions so they can get out safely.